This is a limited edition release of the original book, Rescue Dogs. 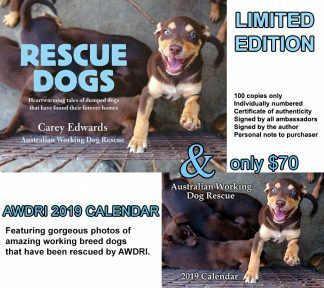 Limited to 100 copies, each is individually numbered, signed by each AWDRI ambassador appearing in the book, signed by co-founder Di Edwards, and comes with a personalised hand written note to the purchaser from the author. The purchaser can detail what they would like written by the author if they choose. The book also comes with a certificate of authenticity. 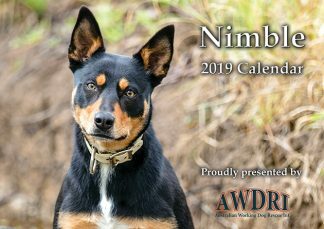 If your country doesn’t come up for shipping please email us at calendar@awdri.com.au so we can add it into our settings. 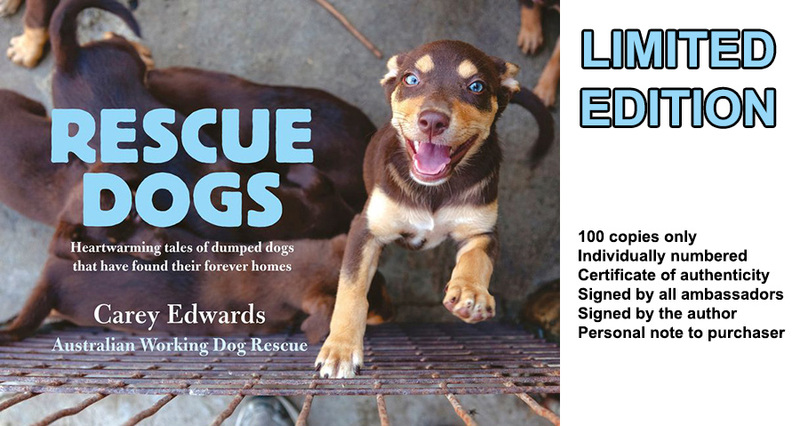 This feel-good book will tug on the heartstrings of dog-lovers everywhere, with 150 photos of joyous rescue dogs and tales of their happy-ever-afters, from Australian Working Dog Rescue. 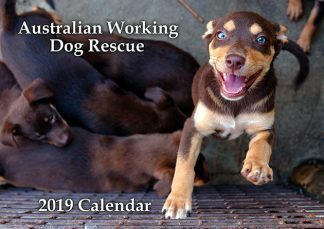 Featured in these pages are Australia’s classic working breeds – kelpies, cattle dogs, border collies, koolies – that have been simply thrown on the scrapheap; dumped or surrendered to pounds across Australia. Some have found new careers as blissful family pets and canine companions, while others have fulfilled their working-dog destinies on rural properties. In these pages you’ll also see wine dogs, army recruits, therapy dogs … and dogs just hanging out, enjoying their new lives. From dumped dog to man’s (and woman’s) best friend, this book celebrates fresh starts, and the proceeds will help even more dogs find their ‘furever’ homes.